Brave. The mutant hound has advantage on saving throws against being frightened. Keen Hearing and Smell. The mutant hound has advantage on Wisdom (Perception) checks that rely on hearing or smell. Pack Tactics. The mutant hound has advantage on attack rolls against a creature if at least one of the mutant hound's allies is within 5 feet of the creature and the ally isn't incapacitated. Bite. Melee weapon attack: +5 to hit, reach 5 ft., one target. Hit: 8 (1d10 + 3) piercing damage. If the target is a creature, it must succeed on a DC 14 Strength saving throw or be knocked prone. Savage. After knocking a creature prone with its bite, the mutant hound deals 5 (1d10) piercing damage. Bite. Melee weapon attack: +7 to hit, reach 5 ft., one target. Hit: 8 (1d10 + 3) piercing damage and 7 (2d6) radiation damage. If the target is a creature, it must succeed on a DC 16 Strength saving throw or be knocked prone. Savage. 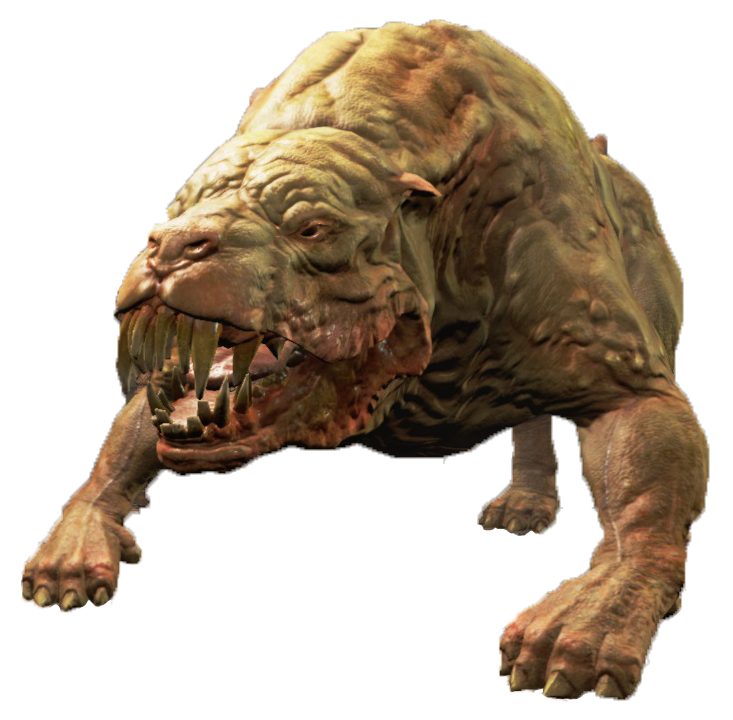 After hitting a prone creature with its bite attack or knocking a creature prone, the mutant hound deals 5 (1d10) piercing damage and 7 (2d6) radiation damage.